In view of the increasing number of Third World countries considering the establishment of women's colleges to meet the demand for the higher education of women, presenting a case study of two key women's colleges in the Philippines. Within the context of global, national and local changes since the fall of Ferdinand Marcos in 1986, academic and administrative leaders at two prestigious women's colleges candidly discuss how their respective institutions adapted to their environments and how the colleges will fare in the future. Preferences for large, coeducational institutions; the emergence of less expensive tertiary institutions; and the downward spiral of a weak national economy combined to destabilized the enrollment base of these colleges. 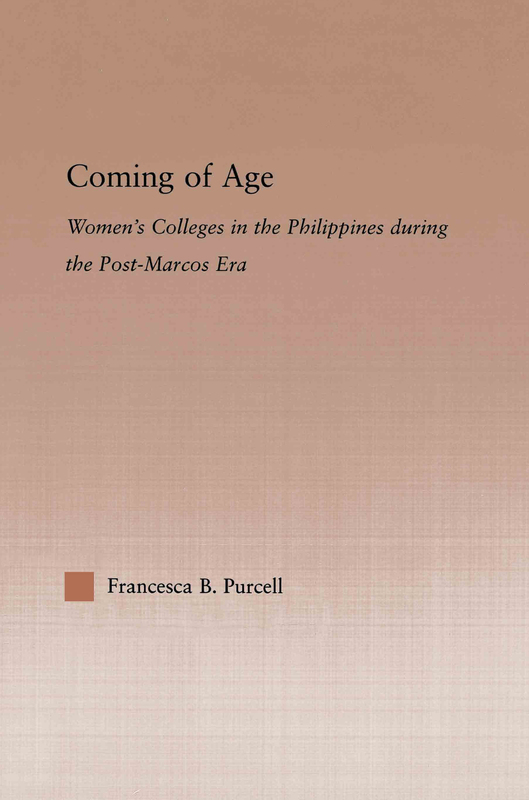 Factors unique to the Philippines including an increasing number of female overseas contract workers; struggles with national language preferences; and the growth of feminism also affected the colleges. In response, the colleges expanded their curricula, chose high-profile presidents, focused on faculty development, and acquired technology. Decision-markers at these colleges will have to continue in their efforts at solidifying their positions in the Philippine higher education system. The book that women's colleges worldwide must articulate their unique purposes and collaborate with other institutions to strengthen their organizations.